Capgemini Consulting Interviews - Tech, Business or Both? Today we continue our firm profile series with an in-depth review of Capgemini Consulting. Founded in Paris, and containing the spliced DNA of other major firms it acquired along the way (Ernst & Young Consulting being the most notable), Capgemini Consulting is a global player in today’s consulting industry. In 1967, Serge Kampf founded Sogeti, an IT services company, in Paris. The humble startup, which had 7 employees in its 1st year and revenue of 1.5M FR, would eventually evolve into a powerful organization, called Capgemini today, with over 125,000 employees and $10B+ in annual revenue. In the years that followed Sogeti’s founding, the company opened offices in Switzerland and France to meet the needs of clients. Then in 1970, Sogeti diversified into consulting and outsourcing services. 4 years later, Sogeti acquired both CAP, its major European competitor, and Gemini Computer Systems. As a result, in 1975, the Cap Gemini Sogeti group was formed, which became the leading European IT services company with 2,000 employees and revenue of 226M FR. In 1981, the Cap Gemini Sogeti group entered the US market. The group experienced serious growth in 1985, signified by share value appreciation of 25% in 5 days on the Euronext Paris stock exchange. Not only was the firm recognized for its expansion during that time period, but Cap Gemini Sogeti also become famous for its annual reports, winning 1st place for the best company annual report. Random, right? Gemini Consulting was formed in 1991 with the integration of management consulting firms, United Research and The MAC Group. Paul Hermelin, the current chairman, entered the group in 1993, and in 1996 the entire parent group finally adopted a single name and logo for all its activities, Cap Gemini. In the drama surrounding the tech bust and ENRON, Cap Gemini acquired Ernst & Young Consulting 4 years later. The Gemini Consulting group merged with Ernst & Young to become Cap Gemini Ernst & Young. By 2002, Cap Gemini had grown to 54,882 employees and a revenue of 7B Euros. The group establishes offices in India 2003, where 10 years later the firm has over 40,000 employees. In 2004, the firm adopted its current logo with the single word name, Capgemini. Despite a 40-year season of glory, Capgemini sold its North American healthcare consulting program in 2005 to Accenture, one of its main competitors. Now, after more than 4 decades and 30 acquisitions, Capgemini is still growing rapidly with over 125,000 employees and offices in 44 countries around the world. Capgemini (the parent) has a board of with 13 directors, two of them being Paul Hermelin, the Chairman, and Serge Kampf (Cagemini’s founder), the Vice-Chairman. There are also 4 board committees (Audit committee, Selection & Compensation Committee, Ethics and Governance Committee, Strategy & Investments Committee) that write resolutions, draft proposals and offer opinions to the board of directors. The board committees have no decision-making authority. Capgemini Consulting has an executive committee with a CEO, Xavier Hochet, and a Deputy CEO, Ken Toombs, who also doubles is the Global Sales Officer and CEO of Capgemini Consulting North America. The executive committee also has a CFO and HR Lead, Michel Ginet, a Global Head of Practice Networks, Didier Bonnet, and a 6 other regional CEOs (5 regions in Europe and 1 in India). The practice areas with projects that offer the best exit opportunities for business management are Big Data and Analytics, Marketing and Business & Technology Innovation. Capgemini has a strong focus on products and processes with major operations; the complex industries (like manufacturing and energy) are well-suited to major spend on technology infrastructure, which is where the firm makes most of its money. The notable sector missing from this list is healthcare – life sciences is a good proxy, but the healthcare practice sale to Accenture still leaves a gaping hole. Capgemini has over 190 offices located all over the globe. In contrast, Capgemini Consulting is a firm within the firm with 20 offices located in 14 different countries. Most undergrads join Capgemini Consulting at the Analyst level and work toward the position of Consultant in the first 2 years. During those 2 years, they have access to great training and mentorship opportunities to help push them forward. MBA grads join as a Consultant and work their way up to a Managing Consultant role (the equivalent level to a McKinsey Engagement Manager). Capgemini Consulting offers a limited number of internships in different locations across the world. The internships are usually 7-8 weeks long with a 3-week summer holiday in July (typical French – a holiday during an internship!). To apply for internships online, you must submit an application letter, CV, and academic results between August 1st and October 1st. Target schools in the U.S. and Europe have application processes that extend into the spring. Because the Capgemini skill set is 1 part business and 1 part technology, the exit opportunities into blended business and tech roles are virtually endless. However, because the consulting arm of Capgemini is only 3% of the overall staff and 5% of the overall revenues, the company brand is largely defined by the 100k+ employees with a strong technology focus, and moving directly into a pure business role is a huge challenge. That being said, a small handful of Capgemini Consulting alumni have landed a position at MBB firms, either as senior managers or through the doorway of a top MBA program, while several other alumni have moved on to work at other consulting firms like IBM GBS, Accenture, Deloitte and technology companies like Microsoft and Apple. In contrast, some Capgemini Consulting alums move into another company or position in Capgemini’s network. In fact, 10% of Capgemini’s experienced hires are Capgemini alumni re-hires – either directly from consulting to another area or by way of an industry job in between. If you want to bridge the gap between a highly technical background and a new focus on business insight, Capgemini Consulting is a great place to start a career. However, realize that you will be branded as a technologist at least until you move to your next role, and the longer you stay the less your pay and responsibility will escalate vs. a Deloitte S&O or Accenture consultant. Capgemini Consulting is not the best place to end your career; again, the pay (limited) and lack of cohesive firm culture don’t match up even to major industry positions. So, why go work for Capgemini Consulting? The consulting practice, in particular, has a small, close-knit environment with great opportunities to learn. When working there, you’ll take on more responsibility at junior levels than you probably would when working in other firms. You also get broad exposure to technology tools, which can be great for job security going forward. The base pay also starts only 15% lower than other consulting firms, but other firms’ escalation rates and bonuses will quickly eclipse Capgemini’s roles. In summary – Capgemini Consulting is a great place to learn, especially at junior levels, and an awesome place to move toward business from pure tech, but not somewhere you want to start if your focus is MBB (your technologist brand will be hard to overcome with the exception of McKinsey BTO) or plan to make it your entire career. Honesty – The firm aims to be above reproach by refusing unfair business practices. Capgemini encourages integrity, loyalty, and uprightness. Boldness – Capgemini encourages boldness, balanced with clear-sightedness and prudence, particularly in regards to entrepreneurship. Trust – Capgemini encourages its leaders to empower the individuals and teams under their care. Freedom – The company praises independence of mind, creativity, innovation, and encourages respect for others thoughts, customs, and background. Team Spirit – Attributes like friendship, loyalty, and generosity are encouraged with other employees as well as clients. Modesty – Arrogance is frowned upon while simplicity is encouraged. Fun – Many companies aren’t that fun because they don’t have a vision for it. Capgemini believes it is important to have a vision for fun. While the list of core values seem great, employees who have worked at Capgemini Consulting agree that core values aren’t implemented as well as they are touted at job fairs and info sessions. On major rankings, Capgemini is noted as an “okay” place to work, but with nothing too spectacular about it. Capgemini Consulting’s interview process is fairly straightforward and slightly easier than those of other top firms. The first round of consulting interviews is a screening round that usually takes place over the phone, on-campus, at a job fair, or at a Capgemini’s office. The first round consists of basic fit questions like “Tell me about yourself” or “Why Capgemini?” The key is to show that you are personable, thoughtful, and a clear communicator. The second round interview is conducted either in-person or on the phone by a consultant or someone more junior, while the 3rd round is almost always conducted in the office with someone at a more senior level. Depending on region and your background, Capgemini Consulting may have you go through a 4th round as well. 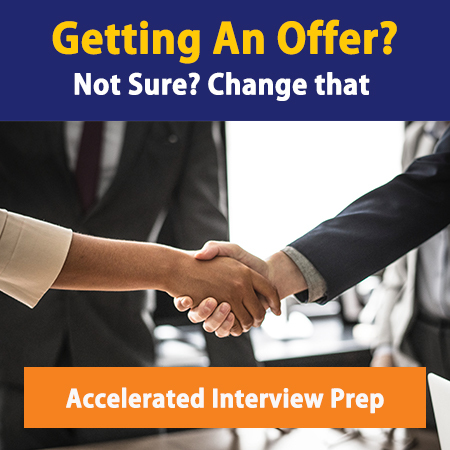 The whole interview process usually contains a significant portion of fit and behavioral questions and a few situational case or brainteaser questions. Although there aren’t usually many curveballs in the application process, it doesn’t mean it is easy to get an offer. On average, only the top 5% of applicants receive an offer, so be sure to brush up on your case skills and especially your fit skills, as you will be asked a lot of those and the candidates who prepare thoroughly come off with more confidence and ease than those who don’t. Capgemini Consulting recruits from a significant number of top universities worldwide. Unlike other firms, however, the majority of company hires don’t come from on-campus recruiting (only about 1/3 of the hires were recruited from university campuses). In fact, the majority of hires (40%) came from applying online. This is great news for those of you silly people who didn’t think about consulting in high school (we’re half-joking here), but have top grades and great leadership experience (especially with a technical bent). With all of the rapid growth, Capgemini has experienced in the last 10 years, the firm has lost some of its cohesive one-firm culture. That’s not all bad, though – more employees make room for more diversity. Since 2004, the firm has made continuous effort to push global diversity initiatives across the whole group and have even won awards for their diversity programs. The firm does have partnerships with key external focus groups that help with recruitment and work support in specific regions.